Claro walnut accent table with forged metal legs is 28″ wide 16″ deep and 32″ tall. 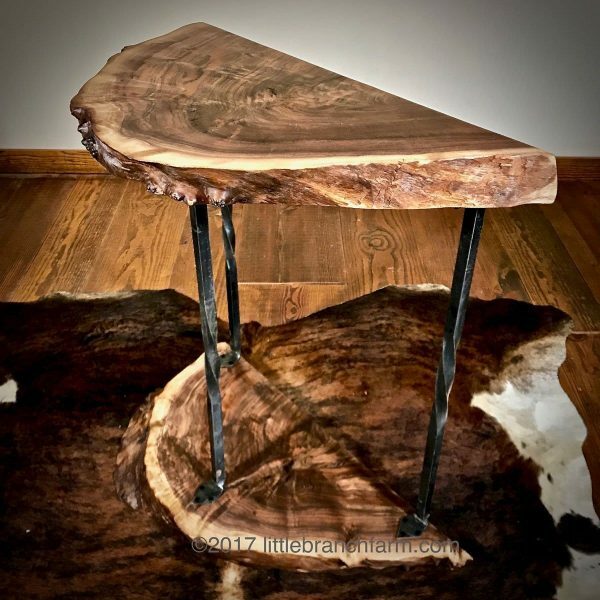 Live edge accent table features forged metal legs supporting the Claro walnut wood slabs. 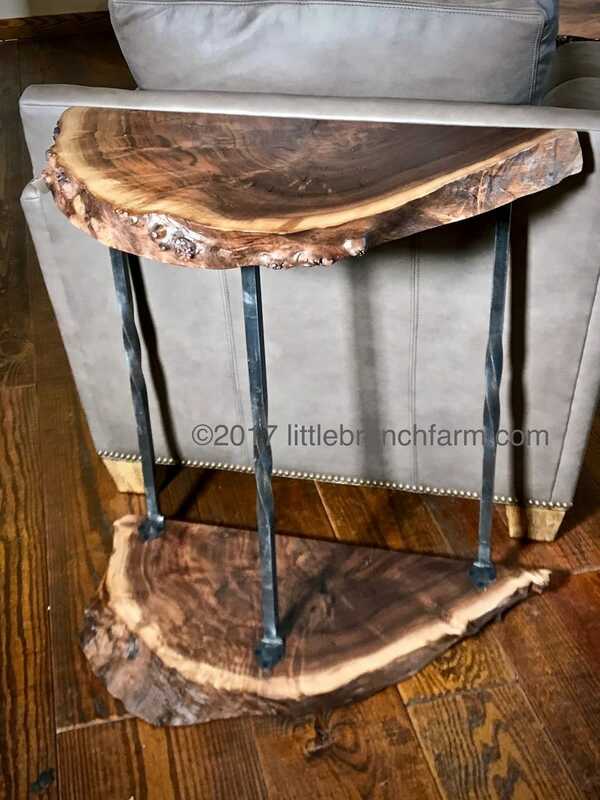 This elegant wood slab table is the perfect entrance table. 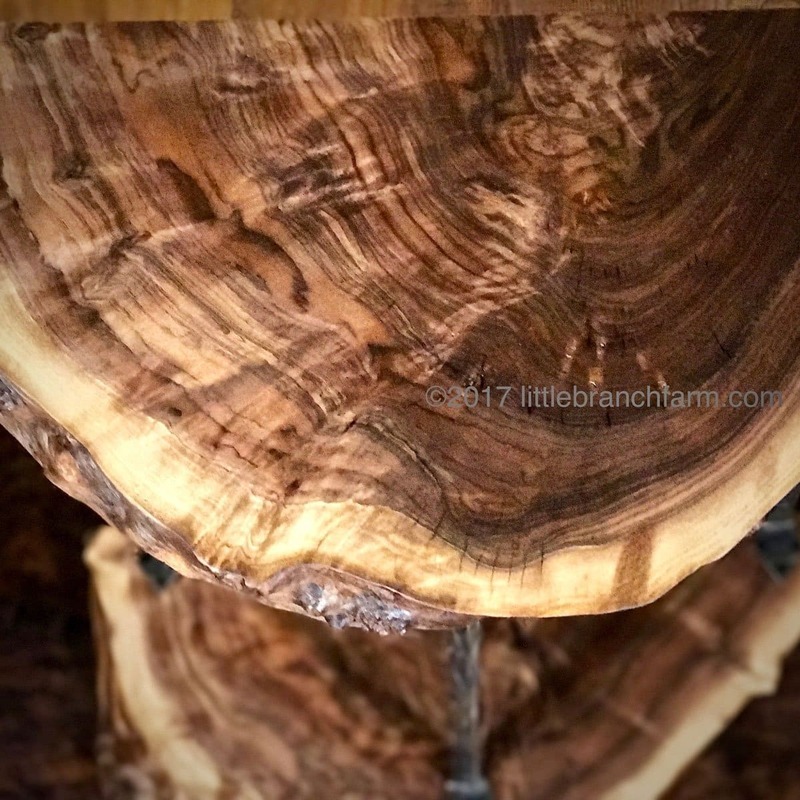 While the claro walnut is stunning this wood table is also available in other wood species. 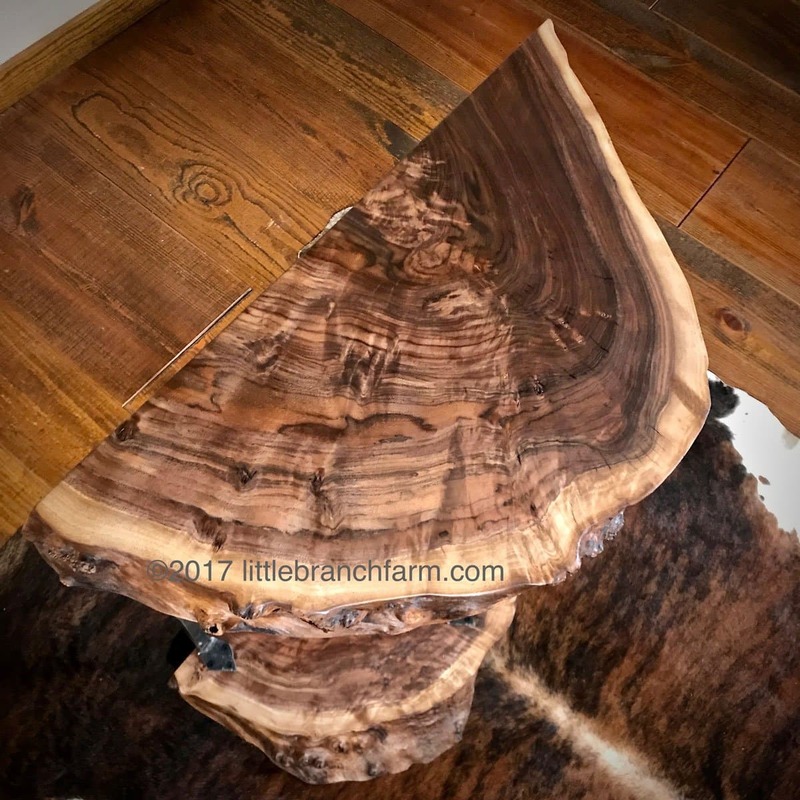 Also, pairing it with a burl wood mirror whether with a live edge or without. 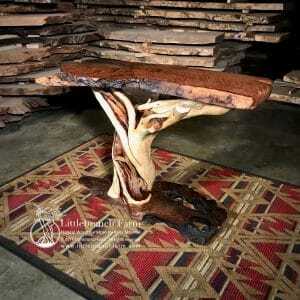 Along with this style rustic table, we also design and build natural wood furniture. 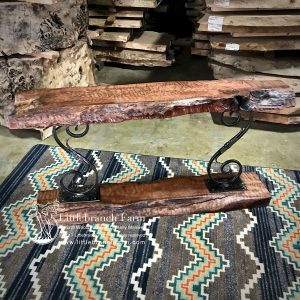 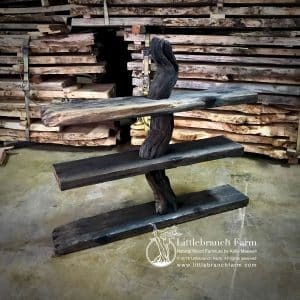 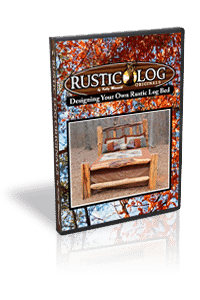 Building pieces such as dining tables, fireplace mantels, and rustic beds. 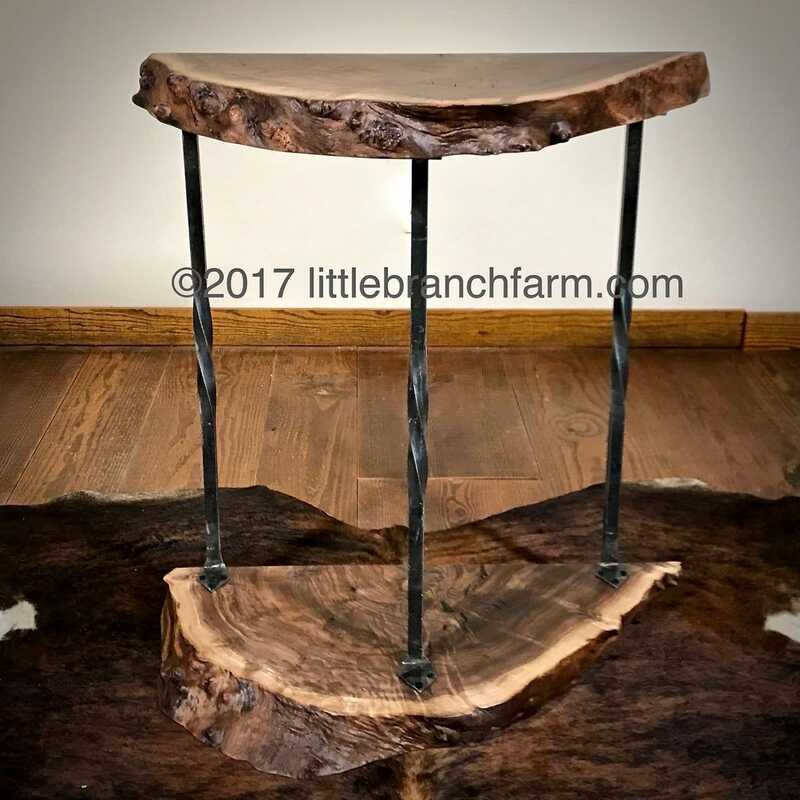 Our wood furniture makers strive to design and build natural wood furniture that is artistic yet functional.